To compete in any of the 3 US Fencing championships held annually, fencers must qualify through designated qualifying paths. The criteria to qualify for each of the fencing championships, Summer Nationals, Junior Olympics and Division 1 championships are different. 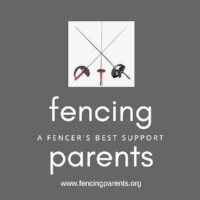 Parents, if your fencer plans to compete at a championship event or the July Challenge, it is imperative that you have a plan for your fencer to earn national points or the requisite regional points at regional qualifying events to be eligible to compete. Every year, there are are fencers who sign up for championship or July Challenge events for which they have not qualified. We hope that the clear explanations in our blogs on how to qualify for championship events will help families prepare well in advance and avoid the disappointment of not qualifying for a championship or July Challenge event. Our blogs on the different qualifying paths for every age group are designed to help parents understand clearly that they need to plan a national tournament and regional qualifying tournament schedule for their fencer during the year to ensure their fencer qualifies for the events they plan to compete at Summer Nationals, July Challenge , Junior Olympics or Division 1 championships.